Make sure child enjoys a positive experience. If you are worried that a child is being abused or put at risk, it is essential that you tell someone. Trust your instincts. Don't wait until you are certain. It is up to the person you tell to take it further and investigate. The idea of speaking out about abuse or poor practice in a club can be daunting. You will probably feel worried about the impact on you and/or the child, but if you have concerns you must take action. Once seen/told, it can't be unseen/untold. By doing so you will be safeguarding the child concerned as well as helping to prevent other children being harmed or put at risk. If you see or hear of any bullying behaviour amongst the young people, report this too to the Club Welfare Officer. Find out the club guidelines for recording and reporting concerns and follow them. Speak to the club child protection or welfare officer. What should you look out for when selecting a sports club or activity for your child? A well run club/session will welcome and expect questions about their activities. Becoming involved in your child's sports club can be a good way to help promote a safe and welcoming environment and almost all clubs will welcome offers of help. You may benefit as much as your child. 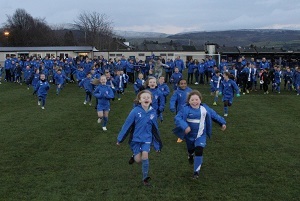 Good clubs, such as Derbyshire Club of the Year Glossop North End Juniors, will welcome questions. 1) Are the coaches qualified? Sport coaching qualifications are developed by the sport governing body - Football Association, Rugby Football Association, British Cycling, English Athletics and so on - generally beginning at Level 1 and going up to Level 4. A coach, leading a session independently, must have a Level 2 sports-specific coaching qualification. Someone helping out a coach, may not yet have any formal qualification but the ideal would be that they have at least a Level 1 sports qualification. This should also mean they have up-to-date First Aid and Child Protection qualifications. An unqualified or Level 1 coach should not coach without the supervision of a Level 2 coach. 2) Are coaches/leaders suitable to work with young people? All coaches/leaders/volunteers who have direct and regular contact with young people should have been appropriately screened. This should include a DBS check and appropriate references taken. 3) Are the coaches insured? Coaches should have up-to-date, appropriate insurance cover. 4) What is the player/coach ratio? The recommended ratio varies from sport to sport is based on the age and ability of the young people involved, the risk involved in the activity, the needs of disabled young people within the group. Contact the National Governing Body for specific sport guidance. Ask the questions you need to ask to ensure that the activities are safe and friendly. Well-run clubs have policies in place. National Governing Body Accreditation e.g. Club Mark, Swim 21, Charter Standard (football). These accrediations show that the club is committed to providing a safe, effective and child friendly environment. Safeguarding or Child Protection Policy which will detail how the club will deal with possible abuse, disclosures or poor practice. Code of Conducts for parents, coaches, participants. For additional information, please visit the Child Protection in Sport Unit (CPSU) web page. Promote your child's participation in playing sport for fun. Do not place your child under pressure or push them into activities they do not want to do. Complete and return the Registration, Medical and Consent Form pertaining to your child's participation in the event/competition/club. Any changes in the state of your child's health should be reported to the coach/school/event staff prior to the activity. 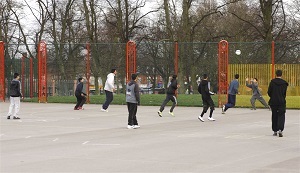 Deliver and collect your child punctually before and after sessions/matches/the event or if young person is making their own way, encourage them to be punctual. Inform the organiser prior to the activity starting if your child is to be collected early. Ensure your child has clothing and kit appropriate to the weather conditions and for activity, including required protective equipment, showering kit and adequate food and drink. Ensure that your child understands their code of conduct. Encourage your child to play by the rules and teach them that they can only do their best. Behave responsibly on the side-line; do not embarrass your child. Show appreciation and support the coach/school/event staff. Be assured that your child is safe while taking part in sport. Be informed of problems or concerns relating to your child. Be informed if your child is injured. Have your consent sought for issue such as trips or photography. Have any concerns about any aspect of your child's welfare listened to responded to. Watch how bad parent behaviour can negatively affect a child. You will play an essential role in encouraging and supporting your child's participation in a sport by paying fees, buying kit and providing lifts. As you invest your time and money, it is easy to become very involved and passionate about your child's sporting activities and achievements. Sometimes it is hard to maintain the right balance. This video provides a useful reminder of the impact your behaviour could have on the enjoyment of your child.